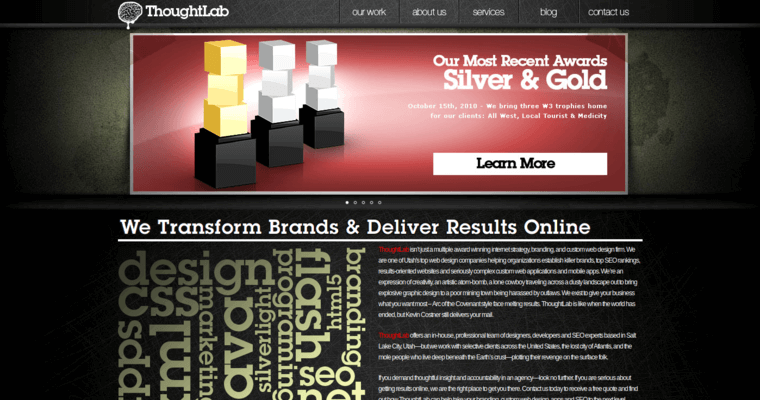 Thought Lab is a dynamic digital marketing organization whose professionals deploy diverse strategies to keep the business owner's company growing in the internet realm. 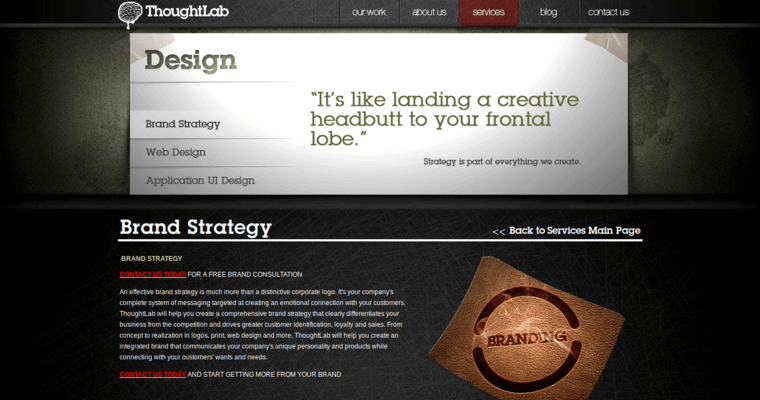 The techies of Thought Lab are web design and development experts, meaning that they can create innovative, functional product pages quickly. They also know which SEO techniques to deploy for the purpose of ensuring that the client's target audience is continually exposed to the brand. In addition to offering exceptionally effective web design and development services, the Thought Lab professionals are pleased to provide clients with custom software and mobile app assistance. 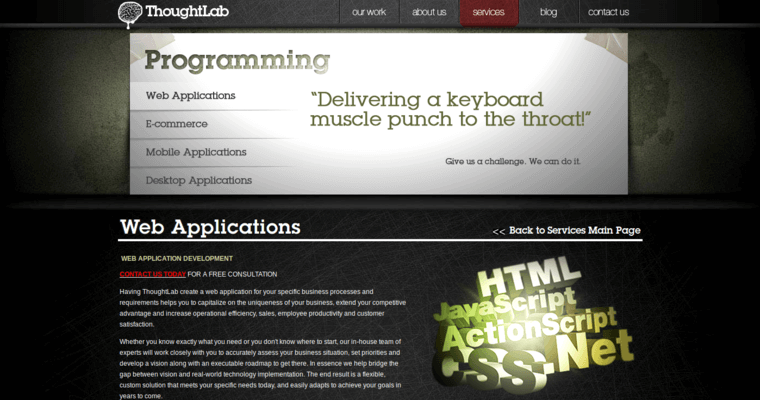 If you're ready for dynamic results, get ready for Thought Lab!